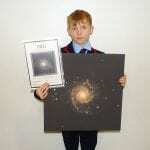 One of our budding astronomers in Mr Foran’s Astronomy Club, Jamie P, has been awarded a wonderful canvas print and certificate by the National Schools Observatory for the image he took of the galaxy M74. 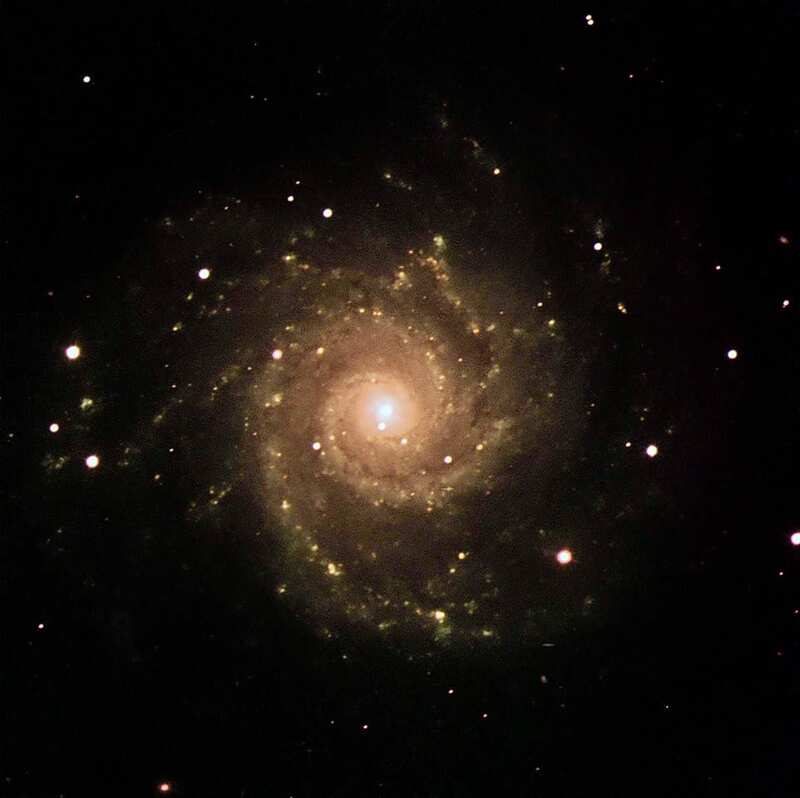 Jamie used a robotic telescope, situated in La Palma, to take a picture of the spiral galaxy which is about 30 million light years away from Earth. The telescope took three separate images in black and white and sent them back to Jamie. It was then his job to process each separate image into a single colour image. He did this using software specifically designed for and used by professional astronomers. Jamie’s excellent picture was sent to NSO last term and was selected as the Astronomy Picture of the Month for November. Well done Jamie!